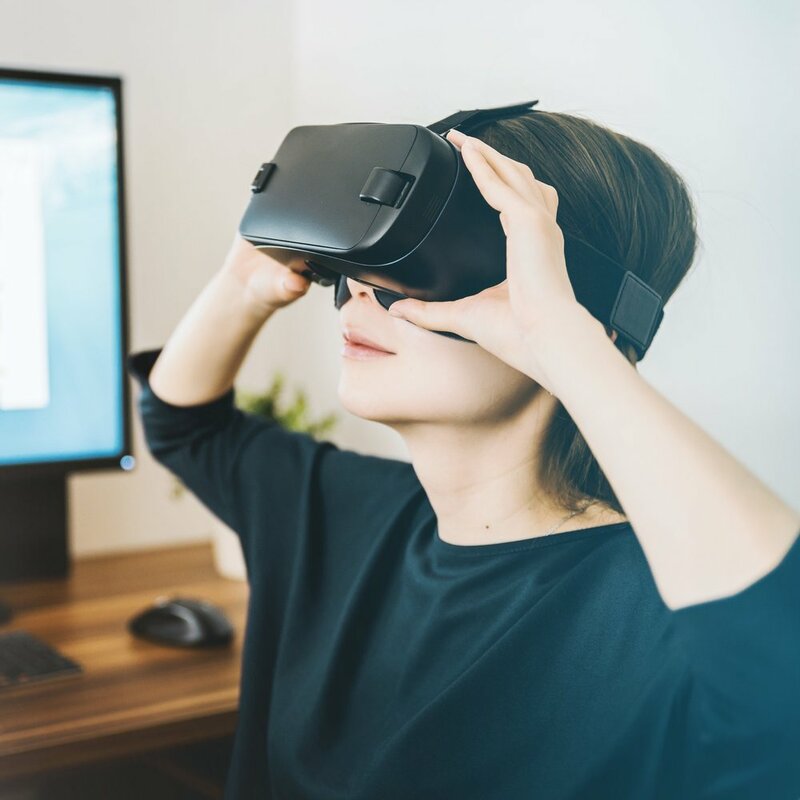 Augmented reality and virtual reality have been on the event technology buzzword list for a while now, with one or both making a lot of people’s “Hot Technology to Watch” lists as far back as 2015. The subject has always been a little twitchy for event people because a lot of what we do is about in-person experiences. We’re people-people, so the idea of a hundred attendees in a room strapping some device to the top of their heads is going to give a lot of us a severe case of spine shivers. Nonetheless, after years of talking about VR and AR, practical uses are starting to make their way into the meeting and events industry. Let’s take a moment to get our definitions straight because a lot of people have started to use the term virtual reality a little loosely. Augmented reality is the process of layering something over reality. An example would be the much-maligned Google Glass, in which the user could still see the world, but had text information in the corner of their vision. Whether it’s your smartphone, smart glasses, or full-on cyborgesque headgear, the user can still see and hear the world around them. Whatever information or image that’s being presented to them is being layered over the real world. It is literally reality, augmented. Virtual reality, on the other hand, is meant to be an immersive experience. It transports us out of the real world - and into a virtual one. These are the headsets that have come on strong in the last year, including offerings from Google, Oculus Rift (which is owned by Facebook), Sony, LG, and other major manufacturers, and are quickly being followed by a host of knock-off, no-name brands. In addition to fully virtual worlds being presented to the wearer of a VR headset, an important subcategory has emerged: immersive video. While not technically virtual reality, filmmakers, documentarians, and extreme sports enthusiasts have begun creating amazingly compelling 360° video, putting the viewer in the middle of the action. The viewer can turn their head and body in any direction to view what’s going on in the scene, but cannot interact with it in any meaningful way. Much has already been written about the uses of virtual reality as a marketing tool, either by venues or destinations. Immersive video and VR are perfect as in-booth experiences, or even giveaways as low-end VR devices can be as inexpensive as $10 in bulk and can give the viewer a dramatic and powerful view of your product or hotel. But how can event organizers start to take advantage of these emerging technologies, and overcome the healthy skepticism of what is inherently a solitary experience? While VR headsets intentionally drop the viewer into their own personal world, don’t discount the group experience. Audi and Samsung have worked together to create group virtual reality experiences for their events. Upon arriving, guests were guided to a room of almost 100 Gear VR headsets and seated on space-age spinning chairs. From there they watched, simultaneously, a virtual presentation of amazing graphics and sound, including being seated in their new model vehicle while it rolled through a virtual thrill ride of twists and turns. Meanwhile, back in “reality”, the room was pumped with smoke and one of the walls was removed. At the conclusion of the virtual presentation, the guests removed their goggles to reveal the actual vehicle to be inspected in person. The photos and videos are incredible, with people laughing, holding hands, and spinning in their chairs. The guests appear to have an amazing time... together. This kind of scale is probably out of the budget for a lot of events, but it does show that creative event designers are finding ways to turn VR into a group experience. For the short term, most events might need to content themselves with some kind of station with two or three headsets where guests can have a little fun going into a virtual world or playing a game, but as costs come down and technology gets faster, it’s easy to envision group VR presentations becoming more cost-effective. Things get even more interesting on the augmented reality side. Because these devices are layering information over reality, the experience doesn’t take you out of reality. We will again see the most obvious possibilities for venues, including being able to stand in the middle of an empty ballroom, put on a pair of AR goggles and have important information overlaid on to what the viewer sees. This could include various room setups, decor options, room features, and more - all rendered three-dimensionally and moving as the viewer walks through the environment. The goggles could highlight even more technical items such as ceiling heights, power drops, and rigging points. 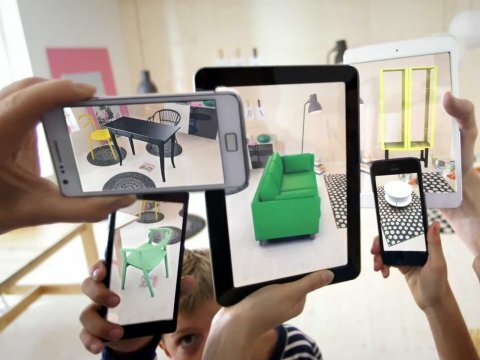 Another application is to combine AR technology with other hot-topic technologies. Beacon technology allows for precise device location where GPS might not be available. Now, combine that with information contained within the typical event mobile app. Imagine being an attendee at a busy trade show. While visiting a booth, you receive a notification in your AR-enabled glasses, letting you know it’s time for your appointment at another stand. Your path to your next appointment is highlighted, and (just like Google Maps) it shows you the fastest route. This technology is coming faster than you might think, with several companies working actively on augmented reality goggles and headsets, and while a little behind their virtual reality cousins, commercial versions should be available soon from the likes of Microsoft and Google. In the meantime, compelling AR experiences can still be achieved using tablets and smartphones, and these will likely continue to be popular and less expensive options for the near future. I read a lot of trends posts when it comes to the event industry. A lot of trends posts. As a result, I've always tried to stand out a little bit by doing something unusual. In the past, I've done anti-trends posts, including the "Top 5 things you won't have to think about this year", among others. This year I decided to try something a little different. As I came across the various "Here's What You HAVE to Know About Event Technology in 2018!" posts, I cataloged them and pasted them into a text document. After I felt I had the majority of them, I ran it all through a word cloud generator, and whammo! The trends post of all the trends posts. "Experiential" sure seemed to be quite the buzzword in 2017, so no big shock that the number one word or phrase was "Experience", and was used almost 200 times across all articles. "Artificial Intelligence" and "Data" were right up there though, with "Marketing" being a bit of a surprise. In retrospect, though, it shouldn't have been, as "Event Marketing" has been on the tips of a lot of big brand's tongues these days. I was a little surprised to see that "Augmented Reality" and "Virtual Reality" were lower in the list than I would have thought, just because they seemed to be mentioned in almost every article I read, but maybe the words just weren't used as frequently. "Chatbots" also seemed kind of low, given the buzz they seem to be generating. Methodology: Before you ask, yes- I combined "AI" with Artificial Intelligence, "VR" with Virtual Reality, and "AR" with "Augmented Reality". When something looked like a partial phrase, I went back to my master text file and searched for the possible variations and did my best to combine them. I eliminated all words with less than 25 instances, as well as common words such as "if", "and", "the", etc. I also pulled a lot of super-obvious industry words like "attendee". That's about it! Does it fit with your reading of all the 2018 trends articles? Any surprises?